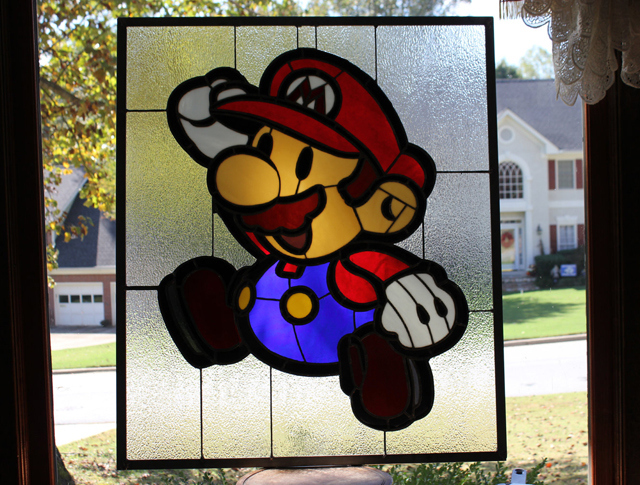 Taking a break from the normal stained glass intensive posts, here are some stained glass pieces focused on video games. The windows are based off the copper foil technique developed from Louis Tiffany. The windows / sun catchers that you do find are very limited in options. 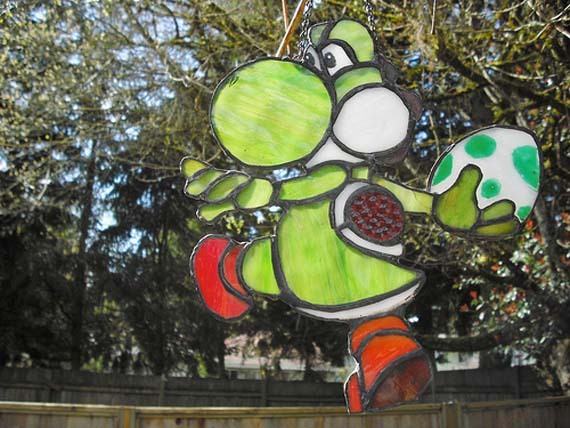 Due to the fact that the number of accessible art for viewing video game themed stained glass is limited I would love to visit this idea in the near future. With the enormous amount of variety in games now-a-days, the possibility are endless. Wire s ties are thin pieces of wire that are attached to stained glass windows. These ties are warped around support bars that placed within the the frame the window will sit in. You will see this technique used for many larger panels of windows. This technique holds the window in place and prevents sagging over time. Below I give an overview on how these ties are created and applied to the windows. Listen now to TheEyesOfLight’s first podcast. Sometimes typing can take the life out of spontaneous thought. You get the chance to read and re-read what you wrote. Its easy to make edits and adjustments based off of what you think is best for the reader to hear. While there’s nothing wrong with that being spontaneous everyone once and while cant be all bad. For the first time I sat down and in front a computer screen and just talked. This is my first attempt to reach you through a podcast! I am excited to finally reach everyone on on a different level. Although this is my first trial run there is some interesting information you’ll be able to hear! Lead safety is a concern among most people. Lead is present in paint, makeups, food, water and more. 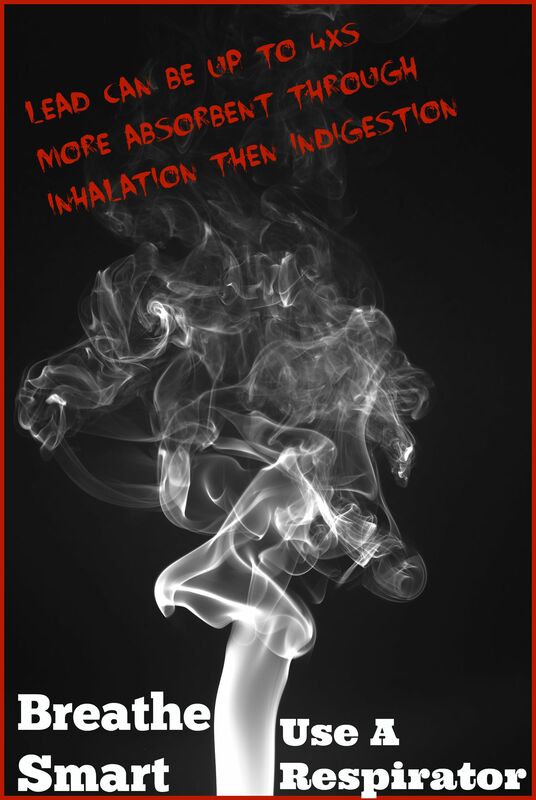 Through inhalation or ingestion lead can be harmful, and in some cases, deadly to our bodies. The old saying “the best offense is a good defense” really comes into play here. Lead is undetectable unless a lead test is performed. Symptoms won’t appear until damage to the body has already taken place. 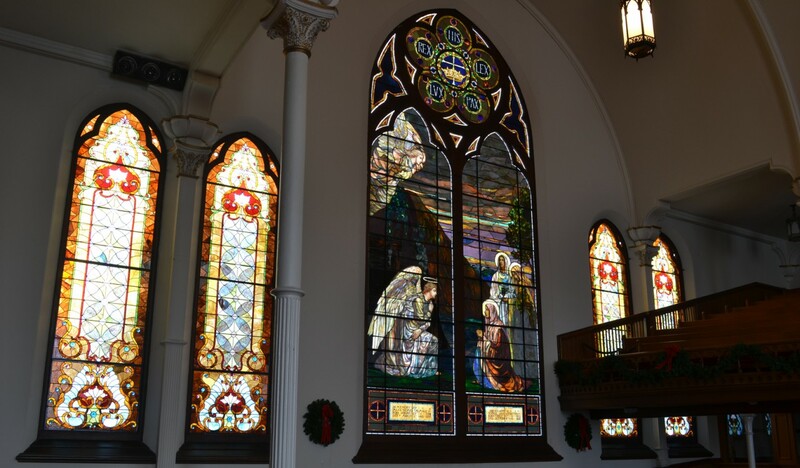 Stained glass craftsmen are around lead 5 to 7 days a week. Prevention is a necessity to protect their lives and the lives of their loved ones. The infographic below is an original layout that gives a brief overview of why lead is dangerous and some quick tips to reduce any exposure to lead. It also provides some outside links where more detailed information about lead exposure and prevention can be found. 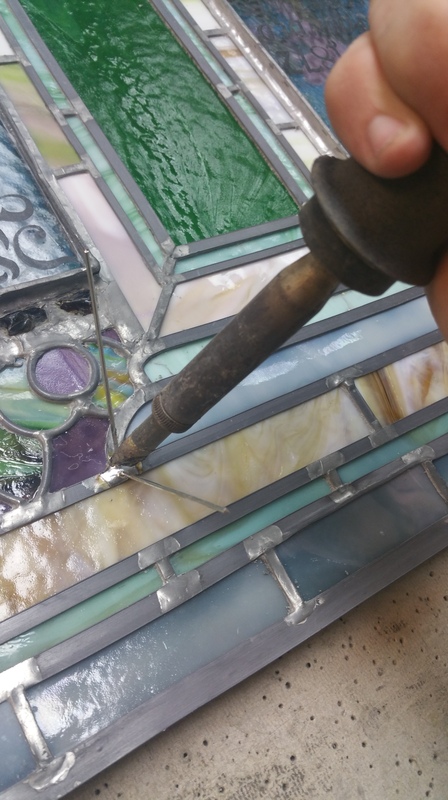 You don’t need to be a stained glass craftsman to find these tips helpful. In any case where lead exposure is present these tips can help you reduce your exposure of lead. To view the full presentation and workable links click here. Safety is important in any job. 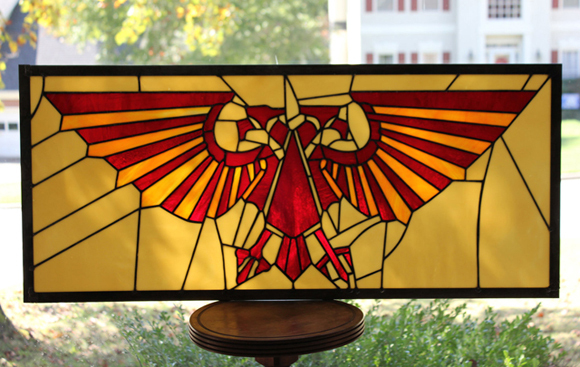 The craft of stained glass is no exception to that. I wanted to create an original content image that would spread the word about the ease of inhalation of lead dust and the importance of using a respirator. Lead has the potential to damage your body if proper steps aren’t implemented to keep you safe. Keep an eye out in a future post for some tips you can use to minimize your exposure to lead. Here is the next original content image I created to help share the craftsmanship of stained glass. The followings is based off the works of Louis Comfort Tiffany. Tiffany and his entire staff were true artisans that created decorative works of art in ways that have never been done before. Through their years of experimentation they created styles and techniques that are still very relevant in the glass arts today. 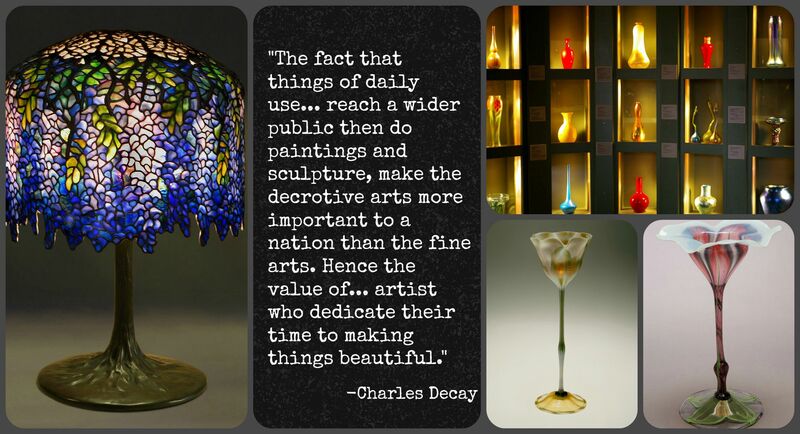 Charles Decay points out the beauty the artists created and its relevance to the world. As a stained glass craftsman, this statement speaks true to how I feel. Recently I was at work quickly painting a few diamonds for a friend of the studio. 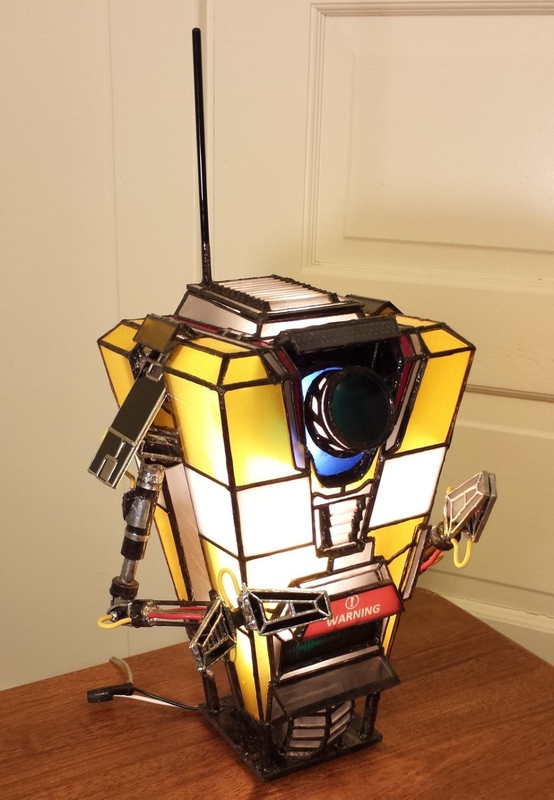 He had a window given to him by a customer that had a few damaged pieces. These diamonds required a basic matte to “dirty” them up a little so they will blend with the existing pieces of the window. 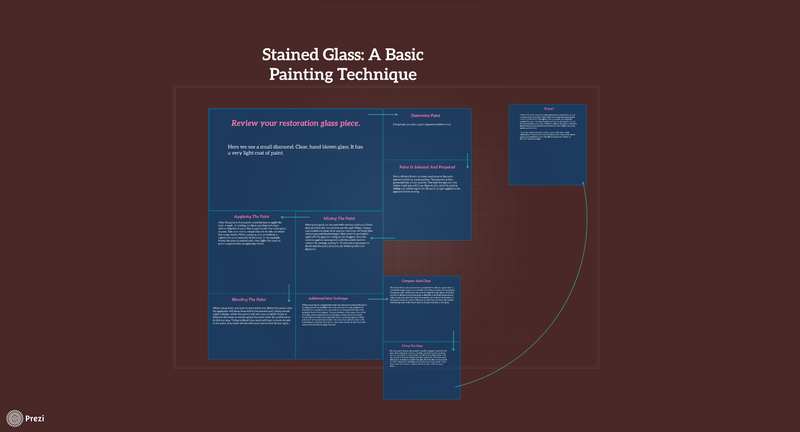 While I was painting I figured this would be a good chance to show you a little bit more about the process that goes into painting on glass. The following demonstration gives a step-by-step overview of this process. Please click the link below to learn more!